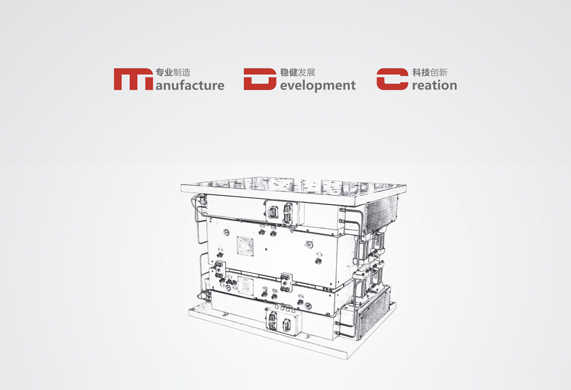 MDC Mould& Plastic Co.,Ltd was established in 1997. Our core focus from inception was the development and manufacture of world class compression mold and plastic tool. Our experience in mold design and manufacture spans many industries including Automotive, Electrical, House wares, Industrial and many more. As a result of our ongoing development, MDC has a team of highly skilled Project managers, Engineers, Designers and Fabrication Technicians that ensure thesuccess of every project whatever large or small it may be. For more than a decade we have worked with many world class mould and compression mold manufacturers, and through such collaboration we continue advanced our technologies and processes. As the leading manufacturer of SMC/GMT moulds in China, we ensure that these compression molds manufactured by MDC are processed according to European and North American standards. Ongoing development is another important focus for MDC. Our most recent success is the design, development and manufacture of GMT/LFT moulds. Again through our successful collaboration with several world-class companies, we have acquired the most advanced technology in composite moulds, such as Symalite and LWRT. We are the only company which is able to produce such moulds in China, with less than 10 such companies in the world. Our mission is to continue to develop and produce the highest quality molds possible, with a focus on customer service and affordability. MDC represents Manufacture – Design – Creation. Manufacturing is where we came from and what we do best. Design is the building block of a perfect Mould, we work with you to design the most efficient Mould possible. Finally Creation, this represents many things for MDC, most importantly the creation of long term relationships with our clients. It also represents the creation of new concepts and ongoing research and development ensuring that MDC remains a leader in our field and one of China’s foremost mold manufacturers.